Una maravillosa perspectiva, el mundo parece tan pequeño y el Universo Infinito. Très original dans les formes et les couleurs ! Beautiful! I love the bubble. Great in black and white. 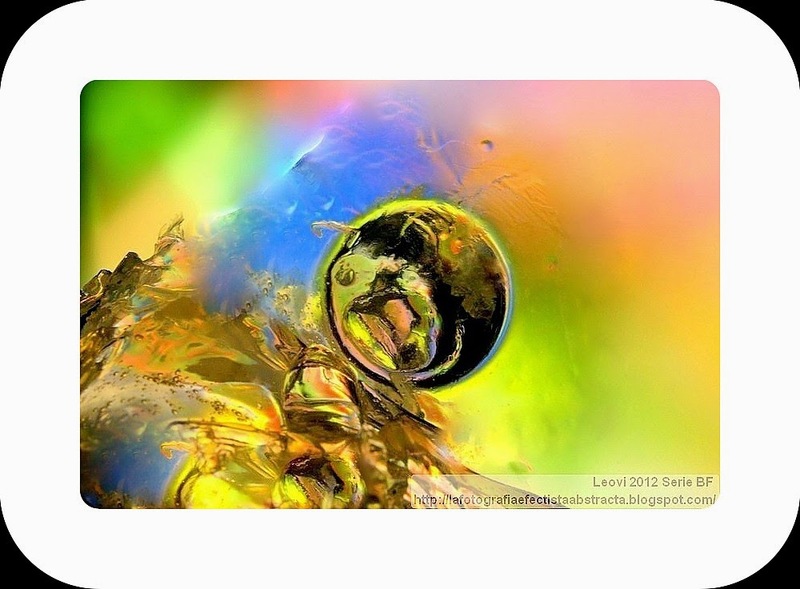 Beautiful colours and a very interesting abstract dear Leovi. Debería de tener palabras para argumentar mi clara elección del B&N, pero no soy capaz de encontrar las adecuadas, Leovi. Se quedaron eclipsadas tras la impresión generada por esta imagen. Lo importante son las impresiones juncal, y si son buenas mejor! hola leovi, that's beyond beautiful! my fave is the colorful one. Mucho tiempo sin visitar esta tu casa, pero como siempre me encuentro con maravillas. this does look rather lonely. Nicely done! I love this so much. My mind runs to crashing waves, birth of life, and so many other places. Just awesome. Oh, I like the paintings for sure but I love the music you had for them this week too. Very club music...it is awesome! I like that slash of blue. Isn’t it fun finding blues to share? Thanks for playing today. I can relate to running in circles. Love the colours in the first photo! Very interesting and very beautiful. Beautiful work Leovi, love this one ..
What a lovely, creative image! I'm loving the colors you've been using lately. This one has me thinking of solitude in space. Solitude is good most times.